Ravenanya is a visionary. 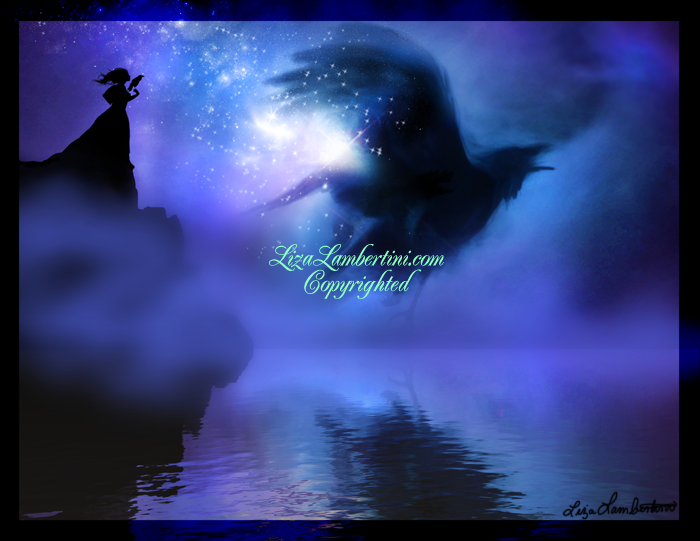 She is gifted with the wisdom and blessings of the raven. Her friend and companion. In Ravenanya's younger years ravens appeared to her in many ways. Guiding her, protecting her, comforting her. was to not judge a book by it's cover and to keep her heart and mind open. 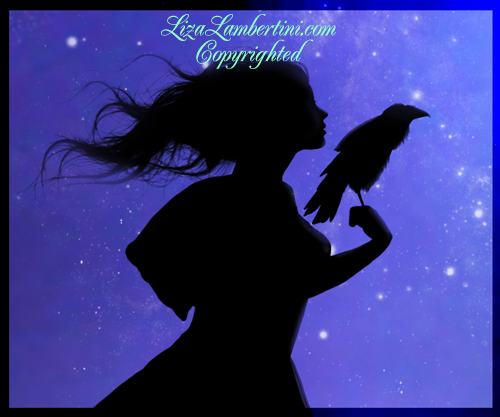 This moment is of the "Universe"
For those like myself who hold ravens, crows and all corvids in high regard. Blessed be! Credit back to NASA for the beautiful background clouds and stars image! I saw the shape of a bird within it and just wanted to bring out the vision of what I saw. Thank you always for your inspiration and sharing this beauty!